“Unlike any other organism in history, humans have a mind-body conflict: we have a body built for performance, but a brain that’s always looking for efficiency.” – Dr. Bramble ‘Born to Run’. I was a bit late to the party in picking up the fantastic book – ‘Born to Run’, but no matter. If you have just the slightest interest in running, or even fitness in general, then this book is more than worth taking a look at. It deals with and discusses a whole myriad of problems and solutions related to the human body – one of which is how the brain will cheat the body if it can see a perceived easier way of doing things. 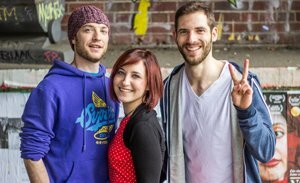 Although this would initially appear to be a negative problem – it also benefits us in many ways. One of these is the ability to understand the needs of our body – and to make this natural but incredibly powerful energising drink. It’s been used by the Mexican Tarahumara Indians – ‘the world’s greatest distance runners’(1) for thousands of years (they call it ‘Iskiate’) and provides your body with a huge amount of endurance energy. These days it’s also often known as Chia Fresca. With not a word of a lie the very first time I drank it I headed out for an 8 mile run – to find I’d not only smashed my previous best time but I still had more energy than ever – and decided to continue for another five. That was a half marathon in the end. Not bad for an easy Sunday morning run. Needless to say, I was converted on the spot. Ever since that fateful day this beast of a drink has become my go-to before any sort of sport – be it running, working out at the gym, Freeletics, football or something else. Perhaps it’s the power of suggestion coming into play and it’s all in my head, perhaps it’s not. What I do know is that I’m seeing gains in speed and strength all across the board – and it started that very day. 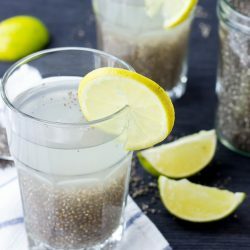 The drink itself is fun and a little weird – in water the chia seeds expand and surround themselves with a jelly-like substance, and look reminiscent of frog spawn. The taste is fairly neutral – that’s where the lime and syrup or honey come in. The main and most important ingredient here is by far the chia seeds. They’re nice and easy to get hold of these days (you can find them in most good supermarkets/health food stores, or on Amazon too) and are a nutrition powerhouse. They’re absolutely stacked with omega-3 fatty acids (more than salmon, gram for gram! ), high quality protein and fiber – not to mention calcium, magnesium, manganese and a whole host of other nutrients. They can help with diabetes, weight loss, heart disease and so much more (2) (3). 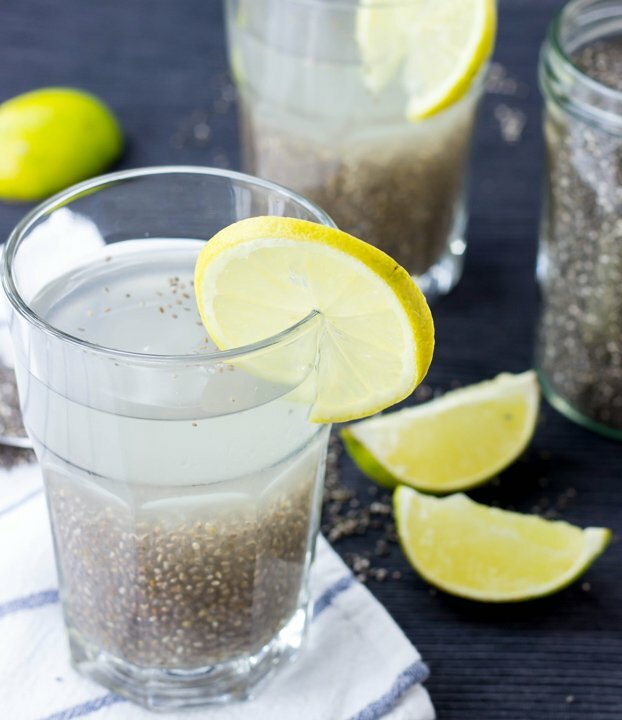 Super healthy and powerful chia seed energy drink. 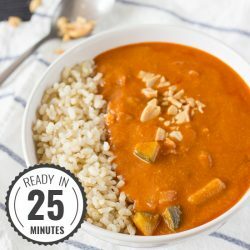 Fuel up with this five minute recipe used by the best runners of all time for thousands of years! Mix all the ingredients together in a suitable container (large cup or sports bottle) and let cool in fridge for minimum 2-3 hours. Optional: Make double the amount and drink half before sports, and take the other half as your main refreshment. F**k Gatorade. IF YOU LIKED THIS RECIPE: Then you definitely need to check out this Fitness Mega Smoothie by extreme endurance athlete Ben Greenfield. If you look for a quick snack that boosts your energy, you can't go wrong with these Banana Egg Pancakes! I need that book! I have been a “runner” for almost 15 years (totally off and on) but it is NEVER easy for me. NEVER! Anywho…your drink looks great! I’m a long time believer in the benefits of chia seeds! Such a wonderful food. I’m loving this! I am a runner and can’t stand the normal energy drinks and powders. I have to be honest, I hate the consistency of chia. It makes me gag. But I’d be willing to give this a try if it will help give me a natural energy source! Maybe blending everything could help? Wow, I had NO idea that these give you that much energy but it sounds like your run made it proof. That is seriously amazing! I have used chia seeds in smoothies before in the past, but I’ve never just drank them straight before like this. I’ve seen these energy chia drinks at my store, but never tried them, simply because I don’t like the slimy texture at all. But I would chug it really fast if it gave me a ton of awesome energy, haha! Thanks for sharing! I’ve never heard of that book either! Haha yeah I do tend to drink it pretty quickly tbf! Chia seeds are a true super food. I use them a lot in desserts, smoothies etc. I had no idea that they could affect performance as you describe though. Amazing! I couldn’t believe it myself, honestly! Very happy about it though of course! I desperately need one of this now. I’m so thirsty!!!! And I still have two more hours of tutoring. Please, make one for me? I’ll pay you in Pinterest favors, haha! I love chia seeds! 🙂 Can’t wait to try your recipe! 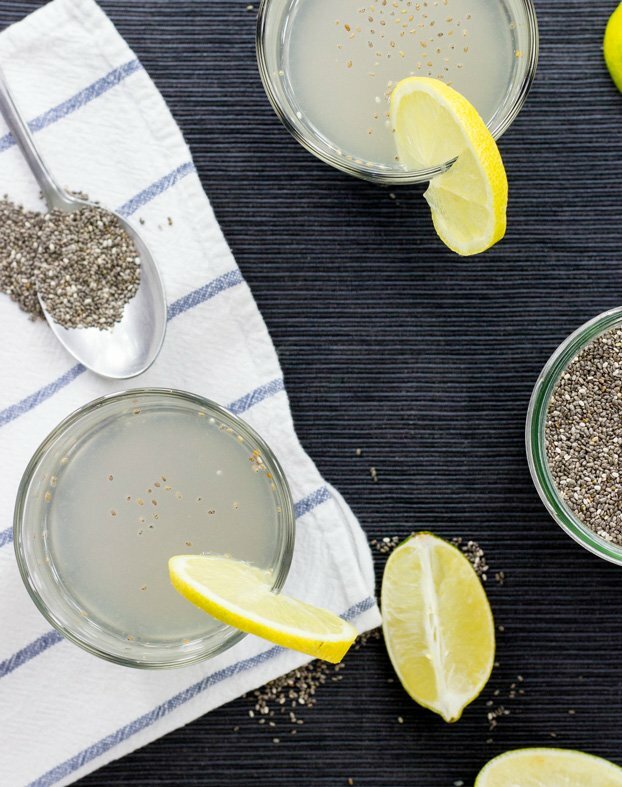 What a delicious and healthy way to enjoy chia seeds! It really is great! I have one before every workout now, so I’m making this 3 or 4 times a week – I’ll be buying limes by the sack soon! 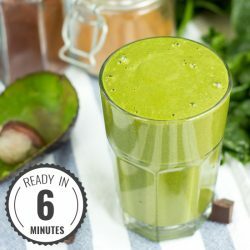 I really need to try this drink the next time I feel tired before an evening run – this sounds like it would be exactly what I need to keep going! I absolutely love chia seeds so I know that would love this. I must try this asap. Ok, I need one glass of it now! I love incorporation Chia Seeds into my diet…such great benefits! Thanks for this drink idea! I love adding chia seeds in my smoothies, but I would never have thought to use it as an energy drink! Totally trying this before my next workout! 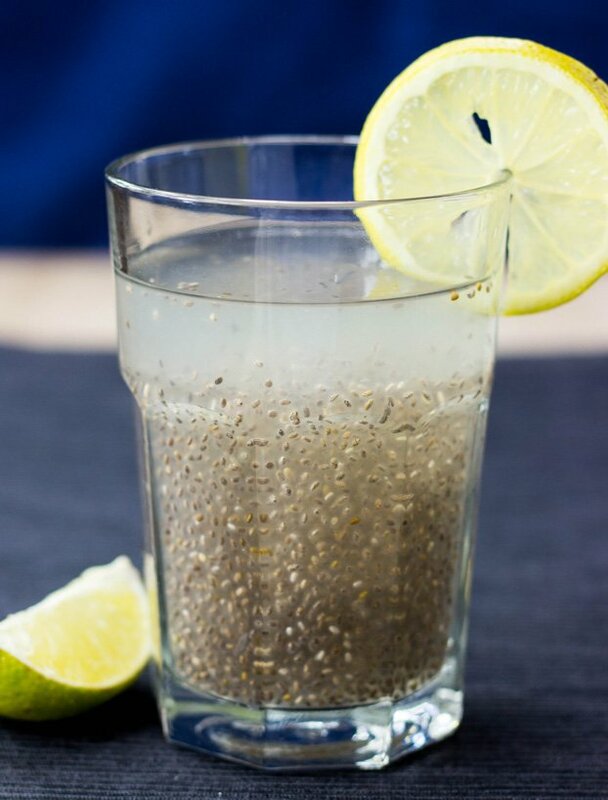 I love chia seeds, so glad to see them in a drink, this looks refreshing and delicious! I love love love chia seeds. This is a very delicious fresca. We are still having a hot September, so, I can enjoy this refreshing drink. This was amazing. My son drinks a lot of pre-workout drinks and he tried this. He noticed an increase in energy. We were beyond surprised that it wasn’t slimy. You really couldn’t feel the “frog spawn” unless you swished it around in your mouth. I made mine without sweetener and it was good. He preferred his with sweetener. That’s great to hear Kendra! I’m really pleased 🙂 thanks for letting us know – it’s one of absolute faves on here! Is it alright if I share your post in a round-up I’m doing for first trimester symptoms/remedies? I would, of course, attribute the photo to you and link back to this post. I tried this while training successfully and then used it as my primary energy drink while completing my first half ironman a couple of days ago. As a high fat low carb athlete I cant rely on standard sports energy drinks, this really worked well for me. I use xylitol as my sweetener as it doesnt trigger an insulin response. I add to this a mix of essential amino acids and whiz it all up in my nutri-bullet. You will need to shake it as it separates while sat in your sports bottles but I have tried it in several different brands of bottle, all with different valves and havent had any issues (never tried it with out a whiz in the nutri-bullet). With a HFLC breakfast, home-made energy bars (nuts, seeds, nut butter, coconut oil, cacao and eggs) salt tablets and my version of iskiate, I do not need to consume store bought energy drinks/bars/gels and enjoy finishing the race with no tummy issues. I now stand amazed at the amount of food/nutrition my store-bought-carb-fuelled fellow competitors need. Hi Ian, and wow, awesome! Congrats on the half Ironman, really glad to hear it went well. Thanks for the detailed response about the iskiate – I use it myself all the time and love the way it keeps me going. 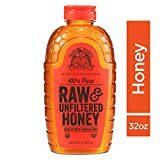 I can see swapping out the honey to avoid the insulin response would be very beneficial too. I’ve started to run longer and longer distances recently and find myself wondering about energy bars/snacks – I refuse to buy store bought but hadn’t found a recipe that particularly appealed yet. Your ingredients definitely sound good, I think I’ll see what I can knock up. Thanks for sharing and good luck with any future races! Do you drink the seeds down as well, or has all that goodness migrated into the frogspawn after 3 hours!? I absolutely drink everything! It’s no problem to gulp it down, tasty actually! is it ok if it doesn’t have 2 hours soaking? will keeping it out the fridge or blending it reduce the time? Thanks. If you’re in a rush and don’t mind the chia (possibly) slightly harder then you could drink it after 20 minutes too! I imagine if it’s blended it could be drunk almost instantly, the chia wouldn’t really need to soak at all. Hope that helps! Tried this lastnight prerun and I certainly noticed a difference! Afterwards, I couldn’t stand still for more than a couple minutes! Its like first time coffee jitters- without the caffeine! Haha, great isn’t it?! I completely swear by this drink. Very glad to hear it helped Justine, that’s awesome! I am definitely going to try this one. Have you tried to add ginger? Will ginger go with the chia seeds? Just jumping in and have a couple of questions. Just cliarying – you drink the seeds, not chew them, correct? How early before a run do you prefer to drink it? thanks! To your second question – that’s an especially good one! For me, I need to drink it at least 20-30 minutes before I run otherwise I run the risk of getting a stitch. If my brother eats or drinks a single thing any less than a full hour before a run he’s gauranteed to get a stitch! If that’s isn’t something that affects you then just before the run is definitely fine, too. Enjoy the drink – and the run! 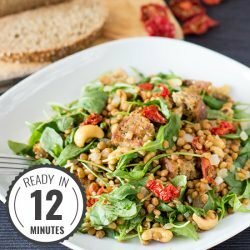 Could I use this in my weight loss plan? Hi Eli! Glad you found your answers. Happy running!